When it comes to build or create a website, it is no longer a challenge. You can simply install WordPress within few minutes and start adding your content. WordPress is a robust and simple blogging platform which has powered a large number of websites as well as blogs on the Internet. It is even better if you choose your website hosting carefully which can simplify the process. At 000webhost.com, they provide an auto-installer alongside their free WordPress hosting. Like any other script, this CMS or content management system can also start malfunctioning due to various errors in website settings or coding. 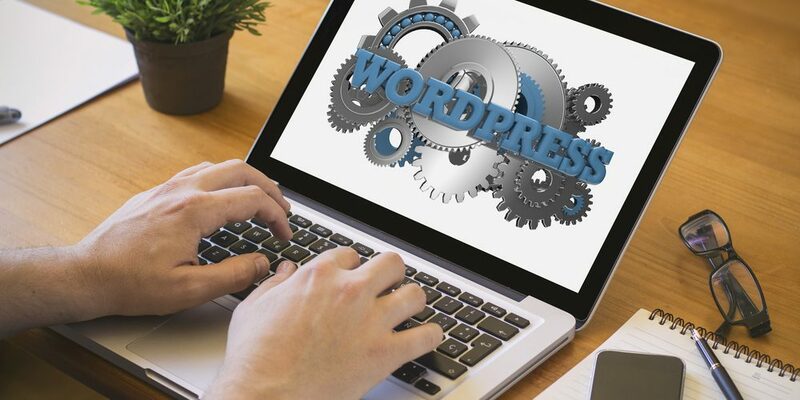 Before we start to talk about the common errors in WordPress, it is better to find out the error details which is causing trouble with the WordPress installation. For this, you need to check the error log. In the WordPress website root folder, you can easily find a file which is named error_logs. Just open this file in order to view the latest errors which are logged by WordPress. It will certainly help you in finding the error cause. Now let’s get started with five common WordPress errors and their solutions. We have discussed the essential points consisting of the issues and respective measures to take. 1) WordPress displaying Blank Page. There is malfunctioning of theme or particular plugin with code errors. There is a missing directory of WordPress theme. To resolve these issues, you can take following steps. If you have installed or updated any theme or plugin recently, then you can roll-back the changes. In case you are provided with access to the WordPress admin, you should start changing the theme to default one. In case the problem is still there, you can start deactivating the recently updated or added plugins. By means of changing the theme and also deactivating the plugins, you can easily find the reason. Get rid of that particular theme or plugin. In case you can’t access the WordPress admin, then you have to access the WordPress folder on the web server through FTP or through the hosting control panel file manager. Now you have to delete the active theme which is located on the website at WordPress folder->wp-content->themes, in order to check if the error has been resolved. In case it is not resolved, then you need to delete all the plugins which are located on the website at WordPress folder->wp-content->plugins. In case the error is due to any missing theme folder, your issue will definitely be resolved by simply getting logged intro the WordPress, website admin. As the WordPress detects any missing theme, it changes the currently active theme to the default theme. If the website doesn’t have any default theme, you can simply change it to any of the existing themes. You will get the 404 error for your WordPress posts when the permalinks are not properly set. You can follow the following instructions. Some themes, as well as plugins, create custom post types in order to extend the WordPress functionality. For example, a plugin can essentially create a testimonials custom types of pose for easier management of such content. In case the page which is showing 404 error are custom post types, check the same have been duly disabled because of change of plugin/theme. You need to reactivate the missing theme or plugin in order to re-enable the custom post type. This error is self-explanatory, thanks to the message which pops up whenever it happens. When the WordPress can’t connect to the database, the website will stop loading. This essentially signifies that you won’t be able to access either the dashboard or the pages. It can be quite a hassle in order, to put it mildly. 000webhost.com deals with this problem with deftness. Its WordPress installation helps in avoiding this type of error. You are using wrong login credentials. To find the solution to this particular issue, we recommend the following solutions which can be used to rectify these problems. It reveals you about the error being detected and the particular file which is associated where the error lies. In order to solve this problem, you need to understand that syntax error is simply a mistake in the code which needs to be fixed. The theme or plugin developer or even you might have left have code section with incorrect syntax. To fix the error, correct the PHP syntax code. Since WordPress has just informed you regarding the error nature along with its location, then log in to your hosting control panel and then open the required theme or plugin file to edit. You can even edit the code through FTP. Simply fix the error and then save. In case you don’t have the knowledge to write PHP codes, then you shouldn’t edit the theme or plugin files. Just revert to original code present in the file or simply change the theme or even deactivate the plugin. In case you witness a 403 forbidden error message while loading the website then the issue is because of the folder and file permissions. Before you start fixing it, you need to create a backup of the website in case anything goes wrong. In fact, you make it a practice of creating backups on a regular basis as a standard procedure since they can be quite helpful when it comes to dealing with errors related to WordPress. In case of 000webhost.com, it comes with All-in-One WP plugin as part of every new WordPress website from this service. This provides you easier way to protect it. At this particular point, you might not have access to the dashboard, but in case you do have it, then you need to create a new backup by simply going to All-in-One WP Migration-> Backups tabs and then click on the Create Backup button. In case of 403 error, there are three ways you can fix the errors after creating the backup of your website. Generating a new .htaccess file. Check and then fix the WordPress File Permissions. In case of 000webhost.comm simply right-click anywhere within the directory names public_html and then choose the option named Create new file. The program will then ask you to name the file that you want to set. Now type .htaccess and then confirm the choice. Now, move on to clicking the new file and click the View/Edit option. Now check and fix the file permissions of WordPress. Now you have to change the folder permission for the root folder of your website to 755. Then check if the files are also accessible. The permission for files within this folder as well as sub-folders should be 644.